Pakistani-American attorney Javed Ellahie, a long-time resident of Silicon Valley elected as councilman in the city of Monte Sereno, California, was sworn in on Tuesday December 18, 2018. It was a standing-room only event. 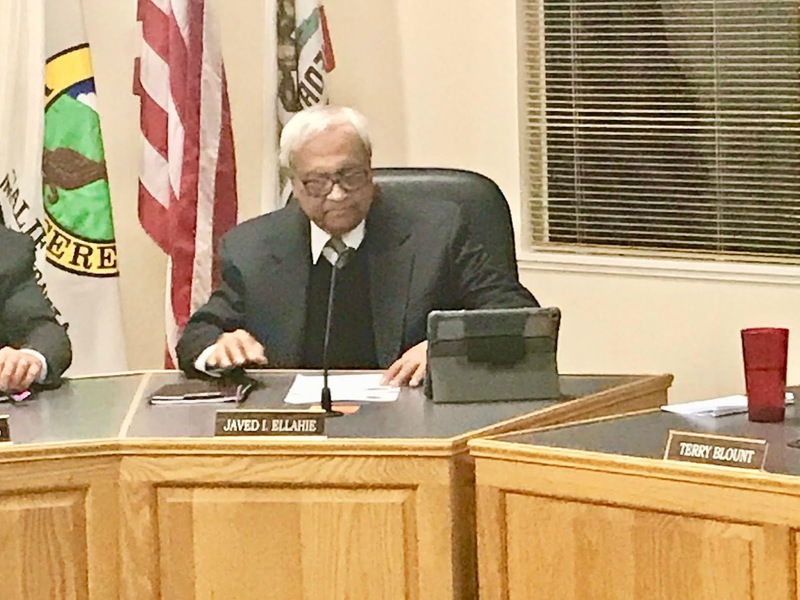 It celebrated a new diverse city council which saw a Muslim immigrant, a woman and white man replace three white men. Liza Lawler and Shawn Leuthold were also sworn in along with Javed. Javed Ellahie is among 5 American Muslims elected to local office in the San Francisco Bay Area in this year's elections. It's a sign American voters are ready for diverse leadership despite troubling increases in hate crimes nationwide, according to the Council on American Islamic Relations. Across America, there are 55 American Muslim candidates who won election to public offices, 11 of them in California, according to CAIR. Two Muslim American women, Rashida Tlaib and Ilhan Omar, were elected to the United States Congress this year. There are 35,000 Pakistani-born Muslims in San Francisco Bay Area, or 14% of the 250,000 Muslims who call the Bay Area home, according to the 2013 study. 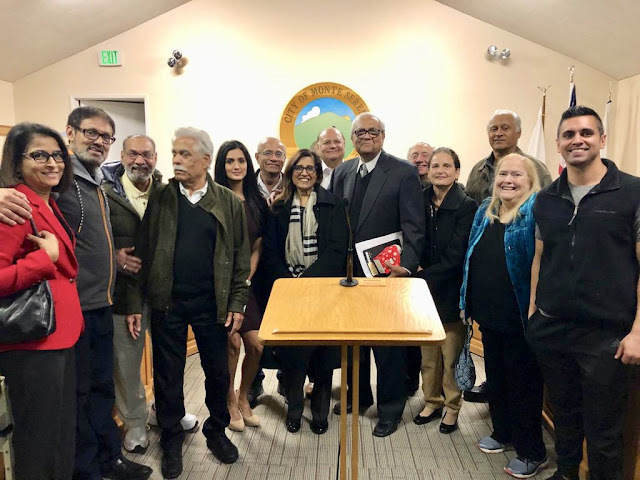 Bay Area Muslim community constitutes 3.5 percent of the area’s total population and is one of the highest concentrations of Muslims in the country. Javed Ellahie spoke briefly after being seated on the city council. 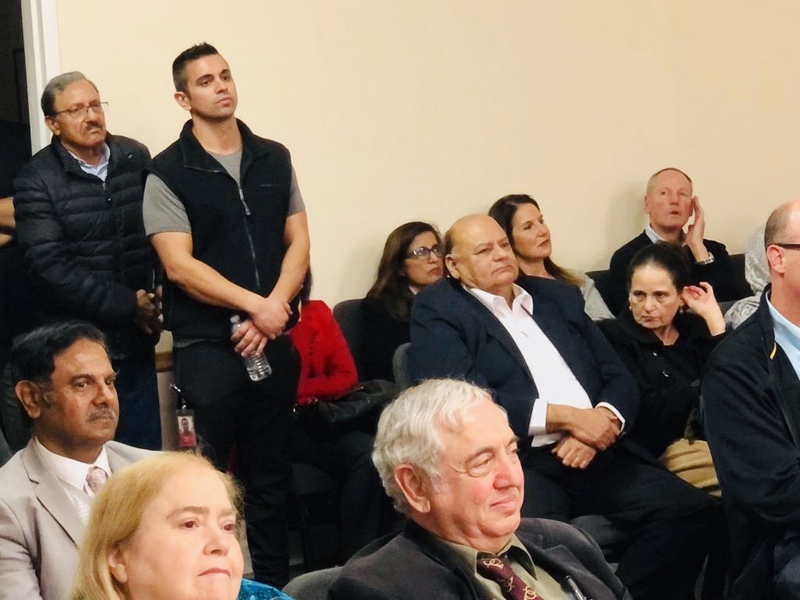 He talked about his Pakistani Muslim roots and his early years as a teenager in America when he experienced the warm hospitality of a "gracious" American family he stayed with. He recited a few lines from Pakistani poet Allama Iqbal's famous poem "Lab pe aati hai dua ban kay tamana meri Zindagi sham’a key surat ho Khudaya meri". These lines, he said, not only remind him of his childhood in Pakistan but also rekindle his desire to serve his community. Javed concluded by thanking his supporters and reiterated his commitment to help solve the problems faced by his city. Monte Sereno is a very prosperous small town located between the cities of Loa Gatos and Saratoga. With a population of less than 5000 in a bedroom community, it is nestled in the foothills of Santa Cruz Mountains. Many municipal services are provided under contract by the neighboring city of Los Gatos. 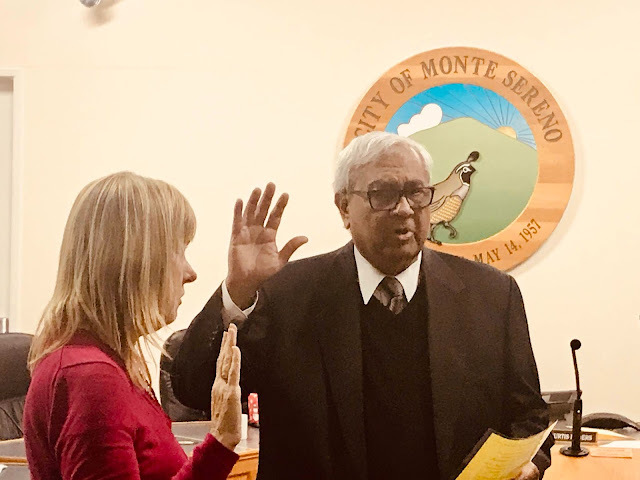 Monte Sereno city council meeting on Tuesday December 18, 2018 evening was a study in how most local city and town governments operate in America. It started with the pledge of allegiance followed by a city resident JoAnn Peth raising the issue of hazards from drivers to pedestrians and cyclists along highway 9 that runs through the city. Then two youngsters from the city's youth commission presented reports of their charitable activities. The proceedings reminded me of Alexis De Tocqueville's "Democracy in America" in which the French author talks of the “spirit of the New England township,” where locals join together to deliberate on matters of common concern.